Image: UNE Admiral A.K Barr pictured aboard the Citadel, Earth's primary military starport. Central government is tonight downplaying the shock resignation of Admiral A.K. Barr, one of the UNE's most decorated fleet admirals. In an open letter to fleet command at the Dodecahedron in Ulm, Barr addressed several areas of concern ranging from "underpowered" space defence platforms, to the "outrageous" Great Space Wall plan recently set forth by embattled President Jeffrey Rossario. Barr was especially critical of emergency warp protocols, the process ships use to rapidly evacuate from a system with overpowered foes. For both civilian and military UNE ships, this process can take up to 30 days, which Barr stated is "unacceptable." He cited the recent tragedy involving UNE flagship Ariana Grande, wherein 300 souls were lost after the corvette mistakenly warped into a gas-heavy system during Tiyanki mating season. A recently published investigation found the ship's captain, rear admiral Jane Way, issued an appropriate immediate emergency warp order, but it took 30 days for the warp drive to fire. The agitated Tiyanki inflicted minimal damage to the ship's hull, but its warp drive could not be overriden, and the ship ran out of oxygen several days later. Aged 112, Earth-born Barr is one of the planet's longest serving military personnel. Graduating at age 22 in the top percentile of his class at Fleet Academy in Ulm, he went on to captain some of the most famous ships in the UNE fleet, including the Bjork-class Yoko Ono. 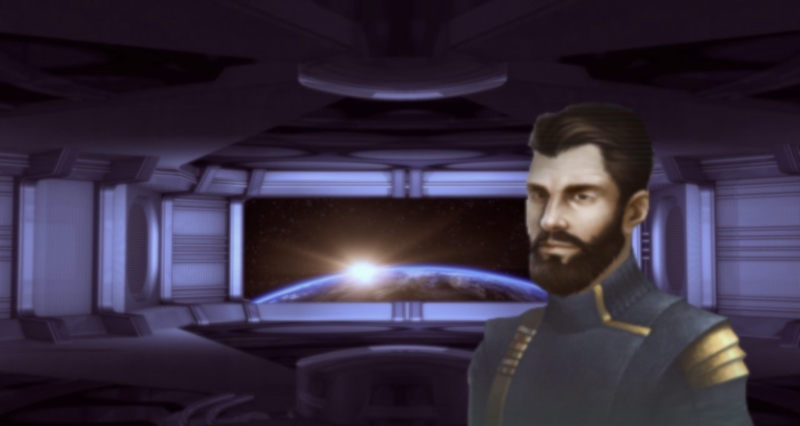 His resignation comes at an extremely difficult time for the UNE government, which is still reeling from President Rossario's pending corruption investigation, and the recent loss of the human settled Terminus System to the Unbidden. Central government as yet has not responded to Barr's letter, however it is widely expected they will try to placate concerns by allowing fleet crew to take two weeks vacation during 30-day warp periods, if encountered. Newer PostOpinion: Don’t believe the scare stories - the toxic kelp diet worked for me! Older PostOuter Rim annihilated by Unbidden, SpacePope welcomes "overlords"